The surprise in the first episode was to find out the Samurai who threatens to destroy the city unless he is given the Flash is just a robot and a decoy. But he gets the job done and we should be happy as it gets The Flash back from the speedforce. BUt who is the Thinker? 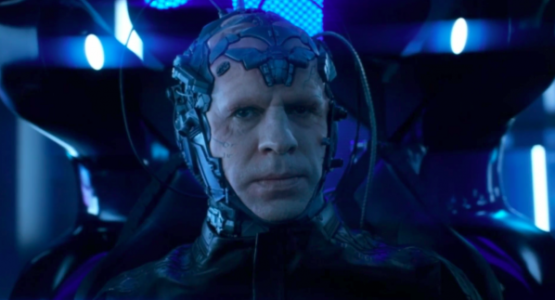 We know from previous posts that he will be one of the big main villains in The Flash Season 4. Pitting the fastest brain against the fastest man alive. Should be interesting. But why go through all the trouble to get The Flash back? Surely having The Flash out of central city makes it easy for any villain. It must be because he is looking for a challenge…or wants to make sure The Flash is really dead not just trapped in the speedforce…from where obviously he can escape. It seems the thinker must me part robot…like a cyborg and quite possibly using an advanced AI to be a really fast and good thinker….and using this for bad intents.